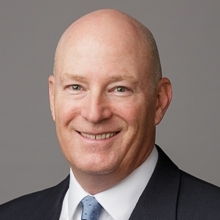 Mark J. Levin joined Marshall, Gerstein & Borun LLP as Chief Marketing & Business Development Officer in 2018, after more than 20 years in the legal industry and more than a decade in legal marketing, law firm business development, and attorney coaching. Mr. Levin earned his MBA at Northwestern University’s Kellogg School of Management with concentrations in Marketing, Management & Strategy, and Media Management. Prior to that, Mr. Levin earned his JD at the Chicago-Kent College of Law and his undergraduate degree from Northwestern University. Mr. Levin has been in the legal industry in various capacities since 1995, working as an Executive at Thomson Reuters and as a Business Development Coach at Akina (now GrowthPlay) before becoming the Director of Business Development and Marketing at Levenfeld Pearlstein, LLC, and then the Chief Marketing & Business Development Officer at Neal, Gerber & Eisenberg LLP. Most recently, Mr. Levin co-founded and served as General Manager of The Right Profile, a company that provides psychometric assessments, reports, and talent development insight for law firms, law schools, and sports teams through its AttorneyAssessment and AthleteTypes offerings. "Building Championship Client Teams," presenter, multiple law firm presentations, 2015-2017. "Right Fitting Your Firm," presenter, Law 2.5, Chicago, IL, September 30, 2015. "Innovation in Entry Level Recruiting," co-panelist, Ark Group Roundtable, San Francisco, CA, March 11, 2015. "Talent Assessment & Analytics: New Tools to Evaluate, Manage and Develop your Attorneys," co-panelist, Professional Development Roundtable for Global Law Firms, San Francisco, CA, March 10, 2015.